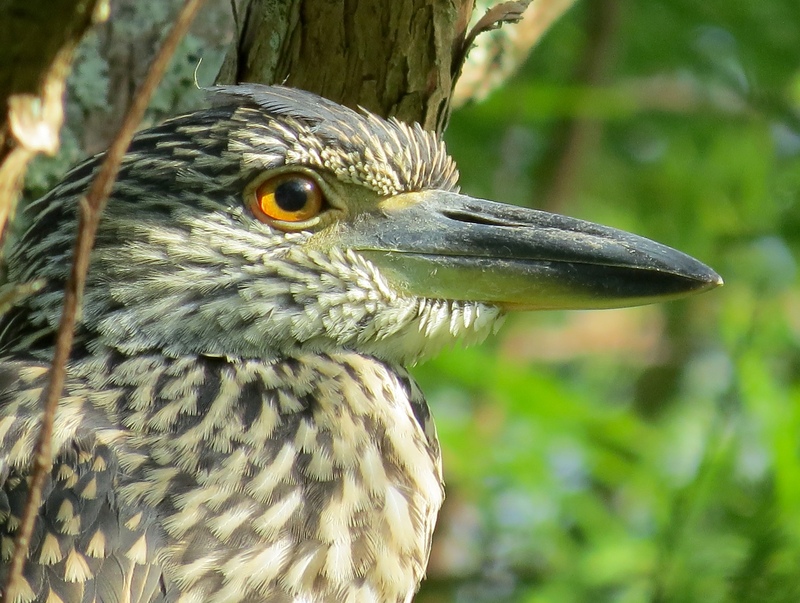 As the nesting season draws to a close, and the migratory birds have returned to their summer homes, we see fewer and fewer of our ‘regulars’ like the Great Blue Herons and Wood Storks here in the preserves. Some of the juveniles and a few baby birds, like the Night Herons, Cattle Egrets, and Common Moorhens (Gallinules) still remain, but soon they, too, will fly off in search of new homes. 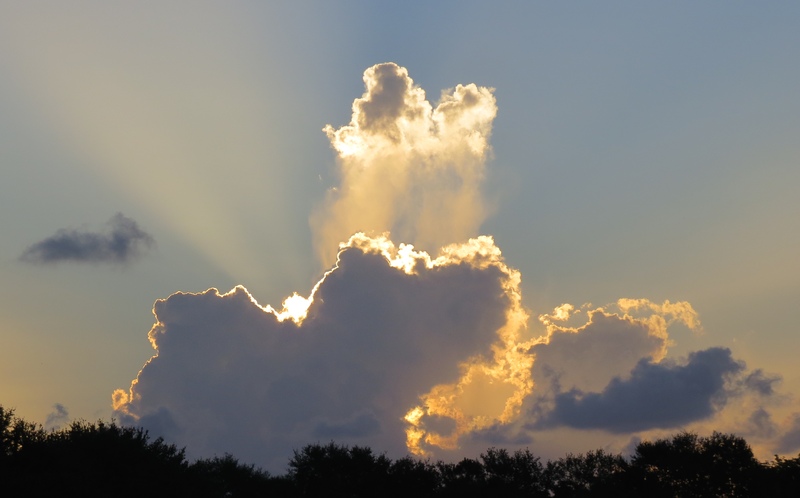 In Perek Shira, the Bird’s Song is Tehillim/Psalm 84:4: “Even the bird finds its home and the free bird her nest where she had her young . . .” Click here to see previous posts on Perek Shira / The Song of Creation. It has been said that the Bird’s Song can often hold meaning for people as well, as “the yearning for our ‘nest’ can be understood as the yearning of each soul for its spiritual home.” (Song of the Bird). In the Jewish tradition, the mid-summer months include The Three Weeks, the time period leading up to Tisha B’Av, the 9th of Av, which falls on July 26 this year. Tisha B’Av is a somber fast day on the Jewish calendar commemorating many tragic events in Jewish history. The Three Weeks are a time of reflection and contemplation, a fitting time to pause each day to think about our lives, our relationships with others, and our own spiritual growth. A wonderful resource for those interested is this book by Dr. Erica Brown: In the Narrow Places, A Daily Inspiration for the Three Weeks (2011). This entry was posted in Birds, Judaism-Birds Connections and tagged Cattle Egret, Common Gallinule, Night Heron, Perek Shira, Soul, Tehillim/Psalm. Bookmark the permalink. « What do you think this is? Very Interesting post, love your spring baby pictures. Thank you, AB! Actually, these are midsummer babies. 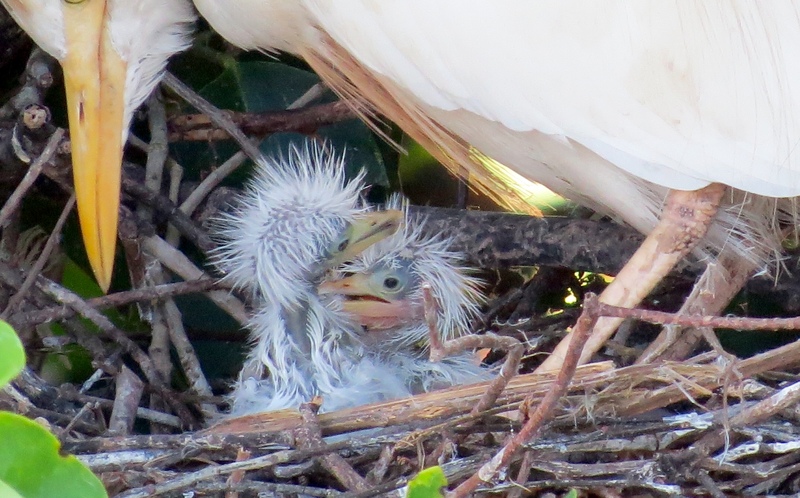 Not sure when the Night Heron was born as it’s older now, but the Cattle Egret chicks just hatched in the past week or so, and the Moorhen chicks are just learning to feed themselves and get out and about. I love watching them with their caring parents. How very kind of you, Amy! I’m so glad you enjoyed the post. Thanks so much, Victor- Enjoy this wonderful day! Thanks – your visit is much appreciated, Pat! Those baby egrets are adorable and your images lovely. I never heard of the Jewish Three Weeks. My first husband was Jewish and we celebrated each and every tradition I thought. I always learn something new here on your blog. Those baby cattle egrets are teeny! – probably only a few days old at the most. You’re not alone in being unfamiliar with this Jewish time period, Donna. In fact, Dr. Erica Brown begins her book’s Introduction by writing, “Of all the milestones and Holidays that are celebrated or commemorated by the Jewish calendar, no time period is more neglected than that of the ‘Three Weeks'”. Beautiful! Love the meaning you find in everything! What a lovely thing to say – thank you, Shira! Oh my goodness! You are so lucky to have captured these photos. I love the chick, so adorable…my gosh. I truly am very fortunate to live in a place that has such bounty! 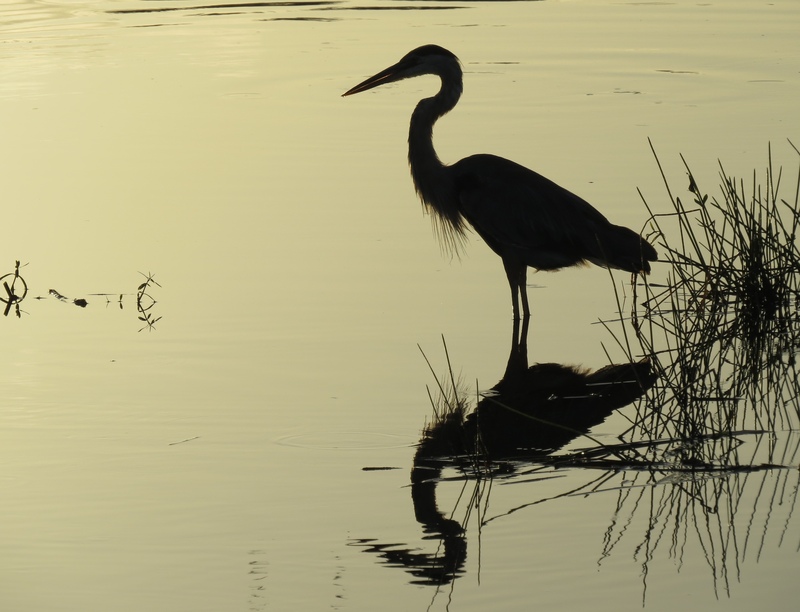 Those Herons always look so stately standing out in the water in the morning early morning or in the evening. I like the sweet moment of the juvenile tri-color siblings!! 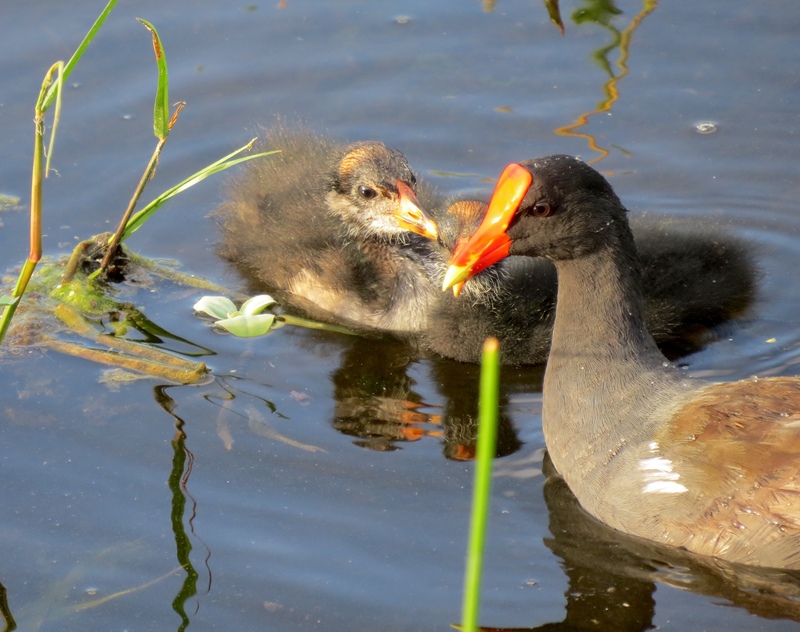 Yes, they are so charming together – and in our wetlands, there are LOTS of siblings! Too true!! And, you know that is how I always pictures sibling nestlings…you know lovingly entwine necks and companionable…..until I first witnessed siblicide and that survival begins at home with birds. 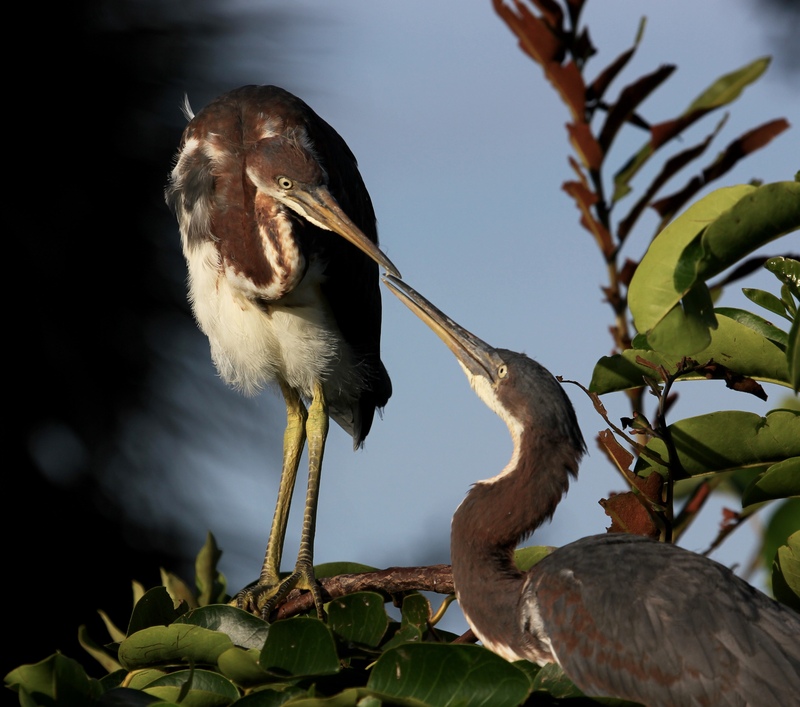 But, you know I haven’t seen that happen with any Louisiana Heron chick I’ve observed!! They are playful and charming!! I know what you mean, Judy. Unfortunately I have seen great blue heron chicks push their siblings right out of the nest into the water. Survival of the fittest, I guess. From season to season what meaning your post presents! As we enter the three weeks again your words and pictures are so much more significant.